Den danske Modstandsbevægelse under den tyske okkupation af Danmark 1940-45 under den 2. verdenskrig. Danish National Liberation Day 4.-5. 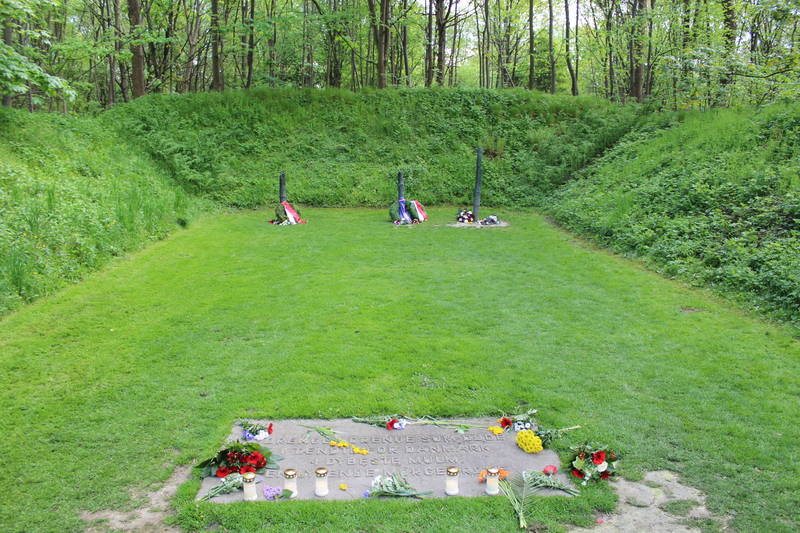 May 2014 – 69 years after the war. Danmarks Befrielsedag den 4.-5. Maj 2014 markeres i Mindelund Ryvangen og ved Ankeret i Nyhavn, København. 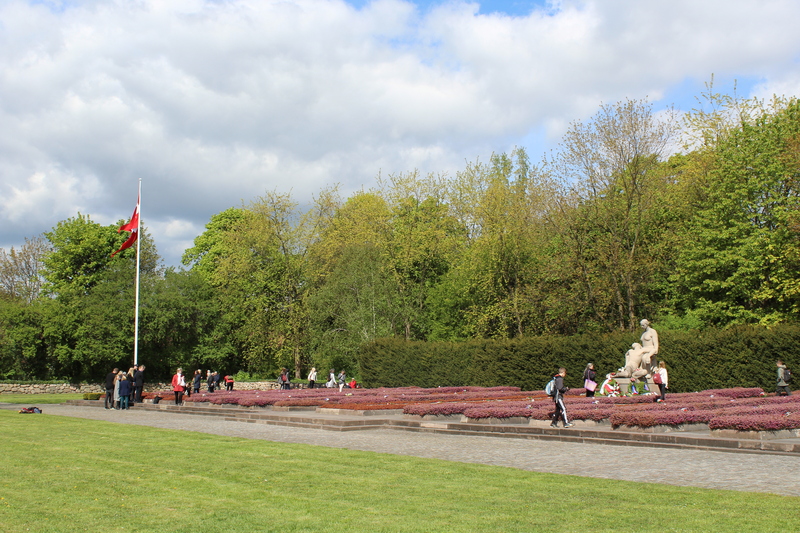 On 9. april 1940 from early morning 4.15 until midday Denmark was invaded by Nazi German Army, Marine and Air Force. The German Government gave the Danish Government an ultimatum of total surrender – if not the German Air Force would destroy the capital of Copenhagen by bombing. The German Government gave the Danish Government the offer of political freedom, if they did not offer resistance. At a meeting at 6 a.m. in King Christian 10´s Amalienborg Residence in Copenhagen the Danish Government surrendered to the demands of the German Nazi Government. At 7 a.m. the german marines landed on Langelinie quai in Copenhagen with thousands of soldiers and occupied the Fortress Kastellet. Thousands of german soldiers invaded Jutland and were fighting with danish soldiers until 8 a.m. – 17 danish soldiers died in the fightings. Before midday Ålborg Military Airbase i Jutland was bombarded and invaded by the German Airforce. Denmark had within 6 hours been occupied of a huge german military power created by a nazi regime from 1933-40 with a population of more than 60 millions against a danish population of 5 millions – it was a elefant against a mouse! It was a humiliation of the danish national pride of not defending their nation, as they have done in the passed 1000 years! 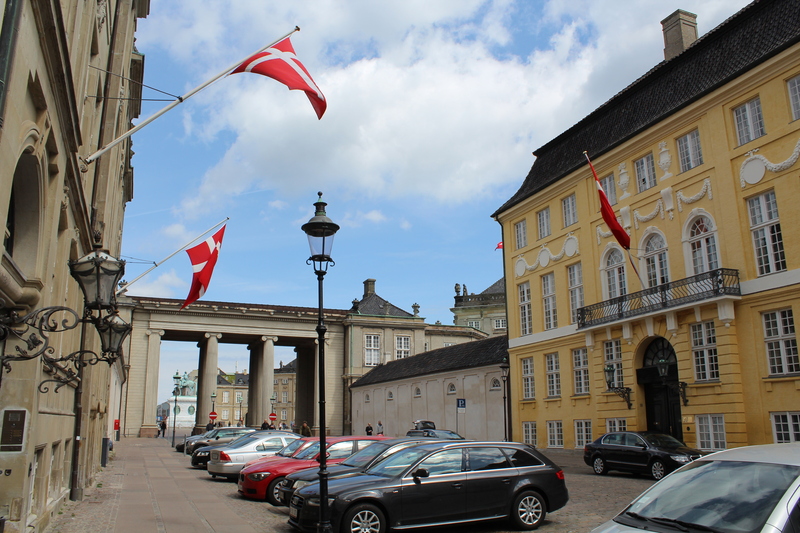 From 9. april 1940 to 29. august 1943 the Danish Government and Parliament “Folketinget” reigned Denmark in co-operation with the German Government i Berlin through a german political coordinator Renthe-Fink (1940-42) and Werner Best (1942-45) and the high commander of the German Military in Denmark general von Hanneken. 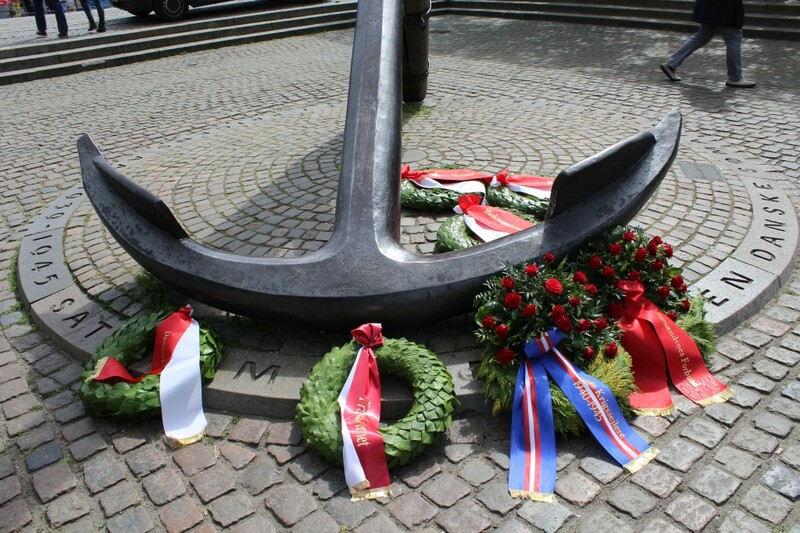 One of the reasons by the double attack by Nazi-Germany on Denmark and Norway on the same day 9. april 1940 was to protect Germany from an British/USA invasion and later attack from Scandinavia – from northern Europe. The Nazi Germany wanted to get the supreme military power by submarines in the Northern Atlantic Ocean between Denmark, Norway in the east and Greenland, Iceland, Svalbard and the Faerø Islands in the west. Thats why England invaded the Faerø Islands in the Atlantic Ocean the 12. april 1940. On 9. april 1941 USA signed a treaty with Danish ambassador in Washington Henrik Kaufmann by a secret permission of the danish King Christian 10 (Hull-Kauffmann) agreement. This treaty “Grønlandstraktaten” allowed U.S.A. to build 14 naval bases, airfields, meteorological- and radiostations in north-, west- and south Greenland: Bluie West 1-9 on the west coast and Bluie East 1-5 on the east coast of Greenland. In 1942-43 the american military builded Narsarsuaq Air Field and Naval Support Base Grondal, Bluie West Seven (Flådestation Grønnedal) close to Ivigtuut Cryolite mine in South Greenland and in Iceland Keflavik Airfield to protect the allied ship traffic between Europe and United States against nazi germans submarines attacks in North Atlantic Ocean. American military personal on american military installations in Greenland 1941-45: in average 5.500 men and woman. The 10. may 1940 Nazi-Germany attacked Holland, Belgium, Luxembourg and France an a “Blizzkrieg”. Holland og Belgium surrended and exil governments were established i London, England. On 22. june 1940 France surrounded to Nazi Germany and was divided in German occupied zone north/west and a german friendly zone in south/west of France and governed by marchal Pétain (Vichy-government). From july 1940 the fascist government in Italy led by Benito Mussulini (Partito Nazionale Fascsita (PNF) joined actively in the War as a military partner with Nazi-Germany. The fascist and totalitarian governments in Spain (General Franco) and Portugal (Salazar) supported Nazi Germany politically and military. In the summer 1940 the British Government in London founded “Special Operations Executive, SOE” to carry out plans to help establish secrete and undergrounds military forces in all Nazi-German occupied territories in Europe: France, Belgium, Luxembourg, Holland, Denmark, Norway, Poland and Czechoslovakia. The humiliating surrender of the danish military forces the 9. april 1940 to Nazi-Germany and the danish governments cooperation with Germany to avoid the destruction of the danish society established a secret and illegal military and civil cooperation in Denmark to form a danish resistance movement against the Nazi-Germain occupation. From summer 1940 this military and civil illegal resistance movement i Denmark war coordinated by the danish Military General Staff Intelligence Service. The secret danish Military Intelligence Service passed on 1940-45 through secret contact journalist Ebbe Munck in Stockholm, Sweden to the British Government military and political informations about the danish occupation by Nazi Germany. 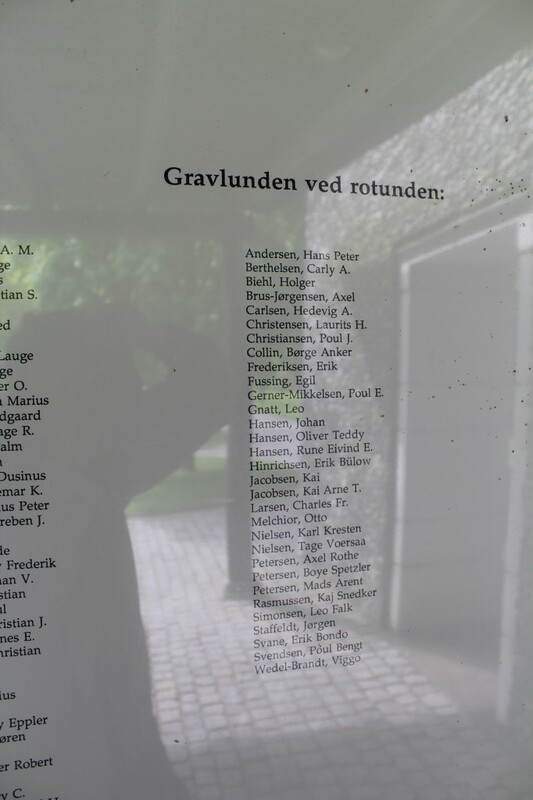 In 1944 Kim Mathe-Brunn joined the resistance group “The students intelligence Group”, (Studenternes Efterretningstjeneste). This resistance group carried out illegal transportations of refuges danish resistant fighters of secrete routes across Øresund between Denmark and Sweden and smuggled automatic weapons from Sweden to the resistance Movement in Denmark. He was captured by German secret police Gestapo in Classensgade, Copenhagen 19. december 1944 receiving smuggled weapons from Sweden to the danish resistant movement. The 21. february 1945 he was jailed in Vestre Fængsel (Vestre Prison) in Copenhagen and was severe tortured. 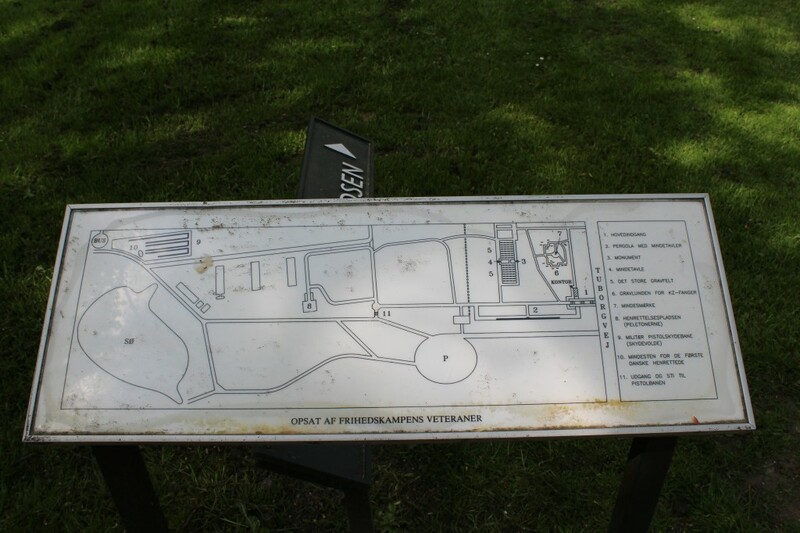 The 6. april 1945 he together with 3 other fellow resistance fighters from the same resistance group “The student intelligence Group” were executed by shooting in Barrack Area Ryvangen here in Memorial Park Ryvangen, Copenhagen. KIM, ved Vibeke Malthe-Bruun,Thanning & Appels Forlag, København, 1949. “Uddrag af Dagbog og Breve skrevet af Kim fra hans syttende til hans enogtyvende Aar” udgivet af hans Moder Vibeke Malthe-Bruun, copyright 1945 by Thanning & Appel, Copenhagen. First edition november 1945. The first occupation year from april 1940 to june 1941 the Nazi-German Government respected the authority by the Danish Parliament and Government except severe restrictions of the danish constitution “Grundloven” regulations on free speech, public gatherings in open space, press freedom and independent court of justice. The established illegal resistance movement was established by men and woman from all the danish society: military, workers, farmers, intellectuals, business, many political parties and was secret. It was a coordinated and dominated by social democratic, middle-class and bourgeois conservative social and political values. The danish illegal and underground resistance movement had a double function: to liberate Denmark from the nazi occupation and to established a political Denmark with its free Constitution (Grundloven) with all its rights to the danish population. The 22. june 1941 the Nazi German military attacked The Soviet Union and on the same day Nazi German Government ordered The danish Government to arrest all communists in The danish Parliament and in the danish society and The Communist Party (DKP) was from now on forbidden i Denmark. They were sentenced in prison Horserød in North Sealand. The Communist Party with its newspaper “Arbejderbladet” became from now on an illegal underground movement with a illegal press “Land og Folk” and with a goal of establish resistance military groups in Denmark against the Nazi-German occupation. In 1942 the illegal underground Communist Party in Denmark formed a partisan organization KOPA to fight the Nazi-German occupation army and danish firms, which produced weapons to the german military. Later in 1942 the organization was transformed to BOPA (BOrgelige PArtisaner) and allowed non communists to join their resistance activities all over Denmark. The bourgeois branch of the danish resistance movement established in coordination with SOE (Special Operations Executive) in London military groups for sabotage actions against the Nazi Germain occupation forces and to form a secret underground danish army to help an anglo-american army in a future invation to free Denmark and Norway from Nazi-Germain occupation. through informations by Radio BBC in London and through a danish illegal secret press to inform the danish population about political and military developments i Europe and around the world about the war and how to react properly as patriots. In 1941 established “RINGEN” as a half illegal non-political resistance movement with members from national trade unions and political center- and socialdemocrat parties from all Denmark. In spring 1942 a cross-party secret resistance national front movement FRIT DANMARK (Liberated Denmark) was established with a illegal newspaper “FRIT DANMARK” with a monthly edition from april 1942. The editorial staff was a coordination of communist and bourgeois resistance man and woman. From new year 1941-42 the british SOE dropped agents by parachutes to established a secret underground army in Denmark and to form illegal resistance groups to cause sabotage actions against the Nazi German occupation. In 1942 SOE had established resistance groups with the danish party “DANSK SAMLING” and young and elder people throughout Denmark to start sabotage actions. At the same time SOE planned a future danish underground army with their danish partners in Army Intelligence Service. In early 1943 SOE (Special Operations Executive) in London had organized a agent network in all parts of Denmark with weapons and ammunition dropped by parachutes from british airplanes. Together with secrets supplies routes between Denmark and neutral Sweden the danish national resistance movement received weapons and ammunition to their underground resistance sabotage against the Nazi German army and danish collaborators. In spring 1943 the Copenhagen resistance organization “HOLGER DANSKE” was formed. 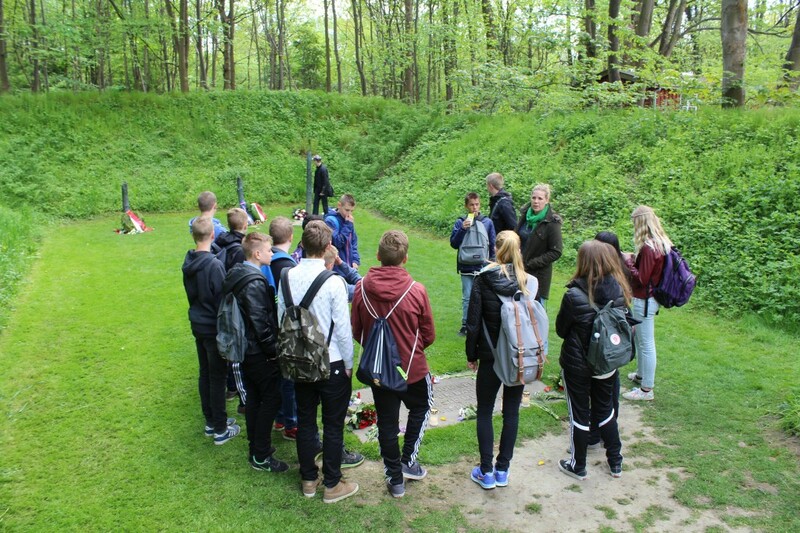 This resistance organisation completed together with “BOPA”, “Dansk Samling” and a lot of independent resistance groups several severe and well planed sabotages all over Denmark against the nazi-german occupations forcers in spring and summer 1943. In august 1943 rebellions in 17 major danish cities broke out with union strikes and civil disobedience against the Nazi-German occupation forces in Denmark. The Nazi German Government i Berlin ordered the Danish Government to stop the rebellions by force and to introduce death penalty to activities by the danish resistance movement. The Danish Government refused to act against its own population and resigned from power. That decision of The Danish Government the 29. august 1943 became a turning point for the resistance against the Nazi-German occupation of Denmark. The response from the nazi-german government in Berlin was order to disarm and internee the danish army and navy. The german high commander in Denmark ordered state of emergency in all Denmark. The 29. august 1943 admiral A. H. Vedel of the danish Navy ordered all danish navy vessels to be destroyed and sunked. 14 danish naval ships fled to Sweden. From 29. august 1943 all danish military forces – army-, navy- and airpersonnel went underground and became part of the danish illegal resistance movement. The 16. september 1943 the organization Danish Freedom Council, “FRIHEDSRÅDET” was formed to coordinate the danish resistance movement against the nazi-occupation of Denmark. DKP (Børge Houmann), FRIT DANMARK (Mogens Fog), DANSK SAMLIG (Arne Sørensen), RINGEN (Frode Jakobsen) and representative form SOE (Special Operations Executive) Flemming B. Muus. Military goal was to organize the illegal resistance against nazi-german forces in all areas and by all means in every parts of Denmark. The political goal was to form a free danish democratic government after Denmark was liberated by help of allied military forces of Britain and United States of America. Werner Best was High Commander of Nazi-Germany in Denmark and member of the secret police Gestapo (SS). Werner Best asked Hitler to carry out Holocaust against the 8000 jews in Denmark. The night between 1.-2. october 1943 the secret german police (SS), Gestapo and the German Wehrmacht started to arrest jews in their homes in all Denmark. 2 days earlier 28. september 1943 the holocaust plans against the danish jews were leaked to leading members of the jewish society and all jews were recommended to flee their homes and to stay underground, hide and flee to Sweden. From 29. september 1943 and the following october weeks all sections of the danish population helped their fellow jew citizens to leave their homes, to hide and to organize their escape to the neutral nation Sweden. Danish doctors helped to hide the jews in danish hospital beds, workers and fishermen helped with their transportations to the danish forests, harbors and to the coastlines for further secret transportation by boats and fisher boats to neutral Sweden. From East-, South- and Northsealand 6-700 fisher-and boattranportations with jews passed Kattegat Sea, Baltic Sea and Øresund. It was a united danish population which surrounded, protected and saved their 8000 jewish fellow citizen from being deported to concentrations in Germany to destruction in the nazi SS-Gerstapo organized Holocoast of all european jews. 7000 danish jews fled and was allowed and welcomed to stay and got food, money and accommodation in Sweden by the Swedish Government. 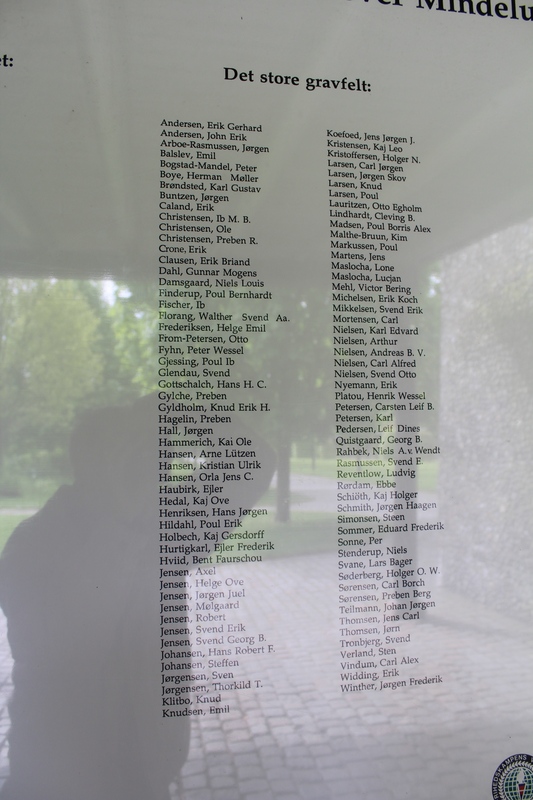 481 danish jews were captured by nazi-german secret police GESTAPO and deported to concentration camp Theresienstadt in Bøhmen out of those 52 died in this concentration camp. 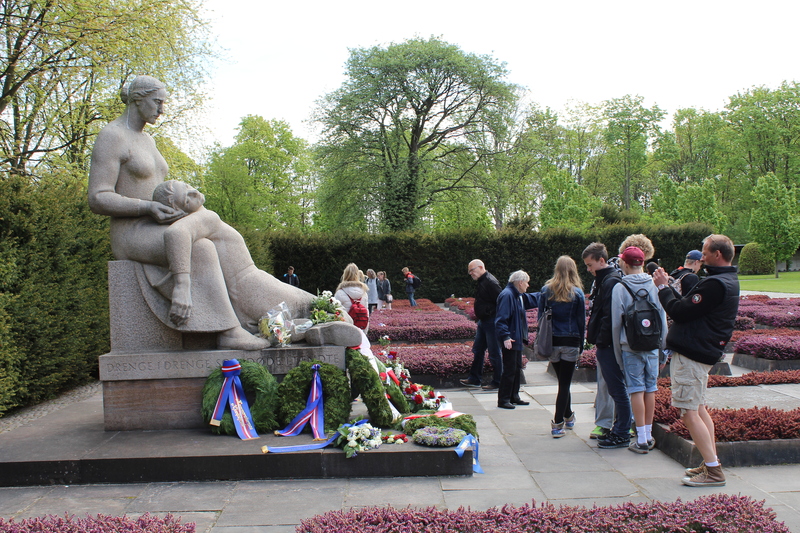 Monument: “Denmark/Mother with her killed son”. This holocoast actions by Nazi-German forces in Denmark united the danish population to fight by all means political and military against the german occupation forces and their danish nazi aliens. 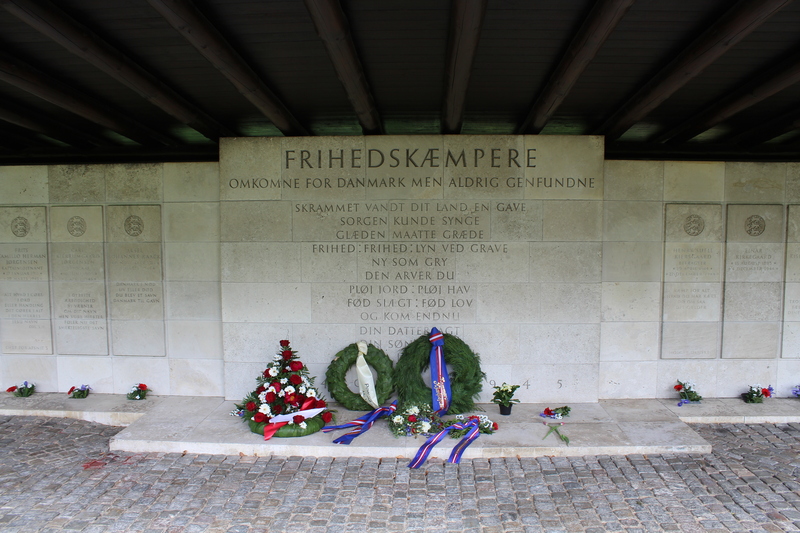 In october 1943 the danish military was set free from german prisons in Denmark and went underground to in coordination with “FRIHEDSRÅDET” to fight in the danish resistance movement against all nazi-germans forces and their danish supporters. In december 1943 SOE (Special Operations Executive) in London ordered the danish military to form an illegal underground danish army with small groups to fight behind the german lines under a future allied anglo-amerian military invation of occupied Denmark. 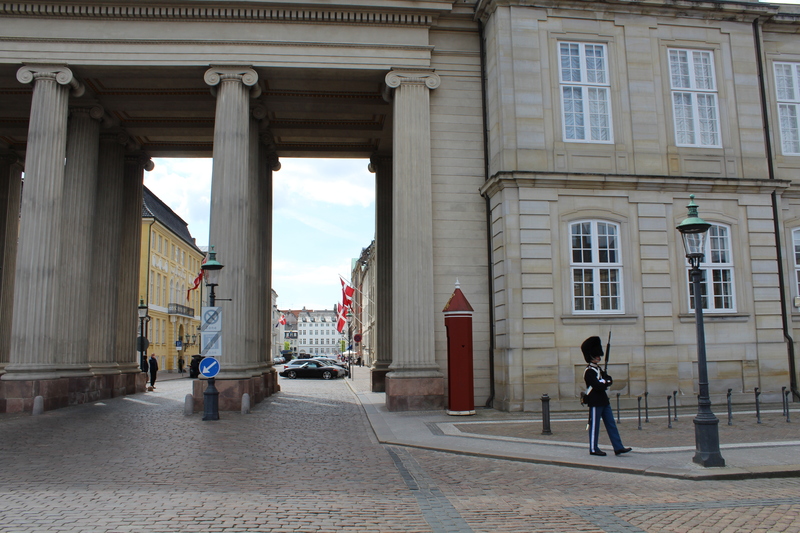 The danish military officers formed secret regional groups all over Denmark. In Sweden fled danish officers and men and woman from the danish resistance movement established a brigade “DANFORCE”: DEN DANSKE BRIGADE. 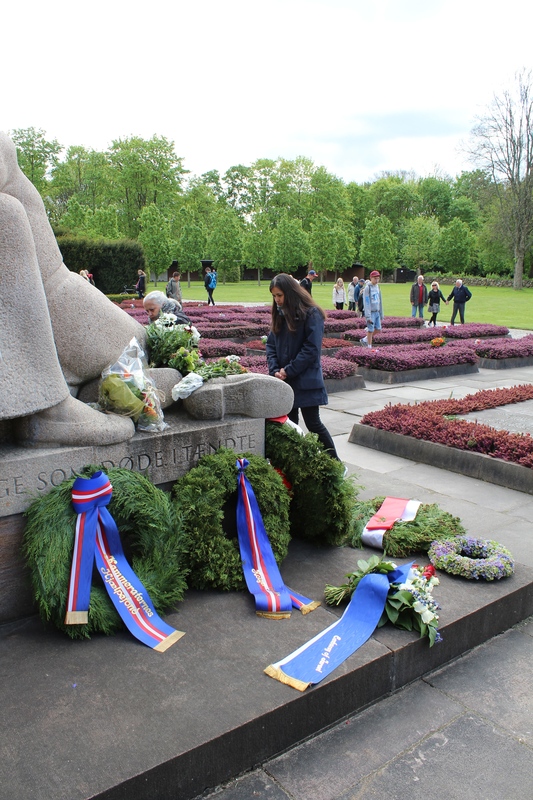 In winter and spring 1944 the military sabotage actions from the united danish resistance movement against the nazi-german forces and their danish allies developes rapidly in numbers. The german secret police GESTAPO orders german anti-terror against the danish resistance movement and clearing-murders of the civil danish population. The united danish resistance movement got weapons and ammunition via secrets routes by sea from Sweden and from british airplanes delivered by parachutes to secrets places in Jutland, Funen an Sealand. In marts 1943 a danish resistance group was formed of 14 members in Jutland “Hvidstengruppen”. This resistance groupe operated by receiving weapons, ammunition and agents from british airplanes dropped by parachutes and organized from London by SOE. Since the 29. august 1943 strikes and rebellions (August oprøret 1943) the german secret police Gestapo arrested and terrorized civil, military and members of the danish resistance movement all over Denmark. The united resistance movement organized thousands of sabotage actions against the german army and the danish collaborators and firms making war materials to the german war industry. During 1944 the danish united resistance movement escalated its sabotage actions against the nazi german occupation forces. Sabotage actions of railways: about 1500. Sabotage actions on ship, shipyards and firms producing weapons to the german war industry: about 2800. 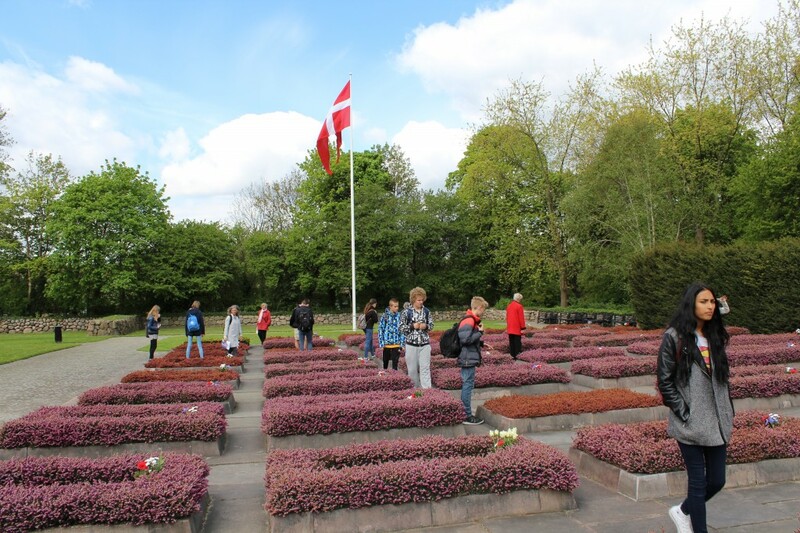 The same day after the death execution of 8 members of Hvidsten gruppen the 29. june 1944 i Ryparken Barrack Area in Copenhagen a one week rebellion by danish citizens broked out in all cities all over Denmark: “Folkestrejken”. This resistance rebellion against the nazi-german occupation of Denmark became known all over the free world in United Staes of America and in Britain telling the message that Denmark, The King Christian 10 and the people were on the side of the allied free and democratic world and against any kind of totalitarian rules and governments neither communist, fascist or nazi. The german high commanders in Denmark Werner Best and von Hanneken ordered the danish police to investigate and arrest members and sympateurs of the danish resistance movement, striking workers, union officials and men and woman, who produced and distributed the illegal press against the German occupation. 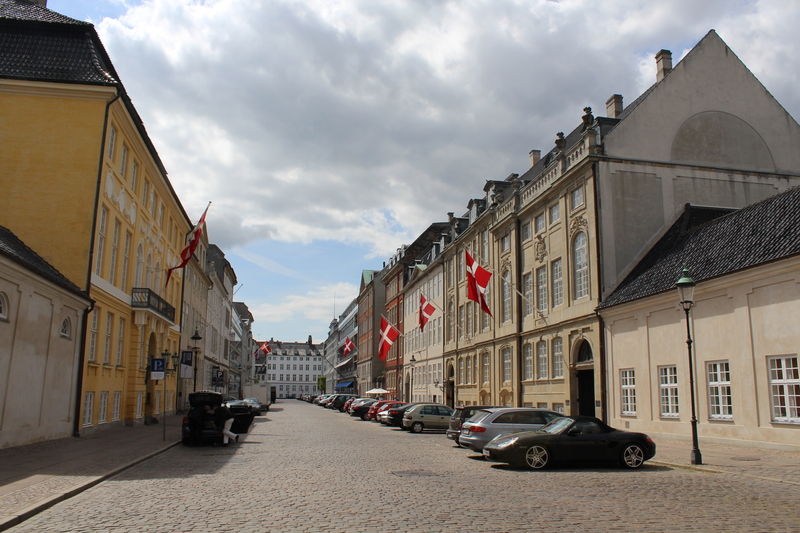 The danish police refused to arrest and investigate the danish resistance movement and on 19. september 1944 Gestapo broke up the danish police and arrested its members. 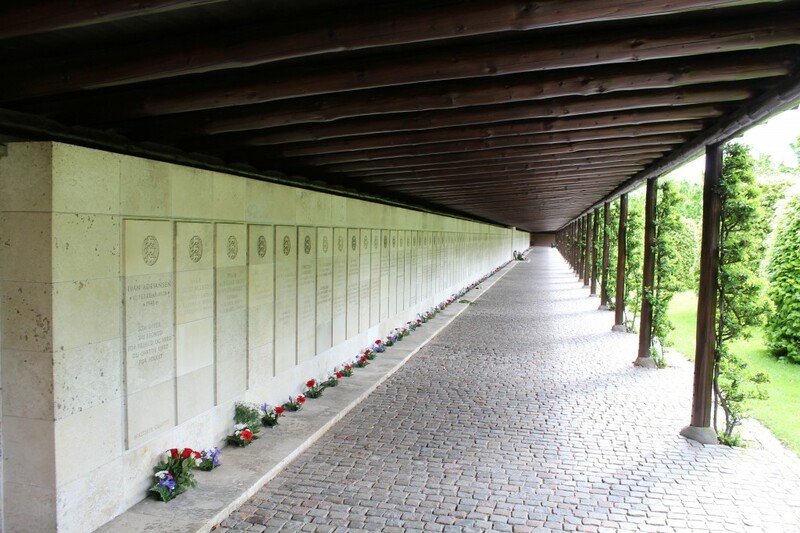 Out of the total danish police of about 10.000 men 1960 danish policeman were deported to German concentrations camps: Neuengamme, Stutthof and Buchenwald. Those danish policemen who were not captured by German secret police SS and Gestapo went underground and joined the secret military Danish Resistant Movement or fled to Sweden and were enrolled in The danish Brigade – Den Danske Brigade. !6. december 1944 1604 danish policemen were transferred to work as prisoners of war in camp Mühlberg/Elbe in Germany. From 19. september 1944 to the end of nazi-german occupation of Denmark 5. may 1945 there were no danish police force in duty. All Denmark was now without law and order. From new year 1945 through january, february, march and april 1945 all danish cities were ravaged with all kinds of unlawful activities: murder, steeling, blackmail, robberies etc. 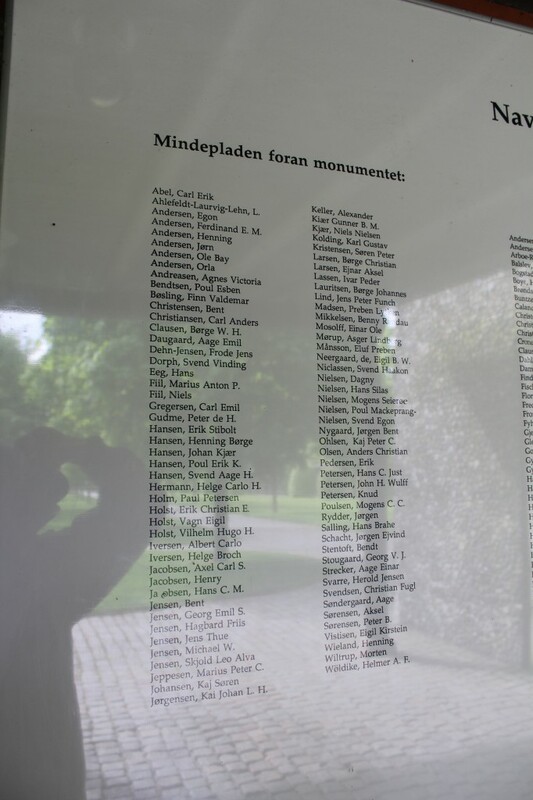 The political and military danish resistance movement enlarged with thousands of participients and supporters helping to hide those who were hunted by SS and Gestapo and to duplicate and distibute illegal newspaper and pamphlets. The secret and illegal newspapers Land og Folk (founded june 1941), De Frie Danske (founded december 1941), Frit Danmark (founded april 1942), Morgenbladet and Information ( founded august 1943 by Børge Outze) were the most influential and widespread in Denmark, Sweden, Britain and USA. 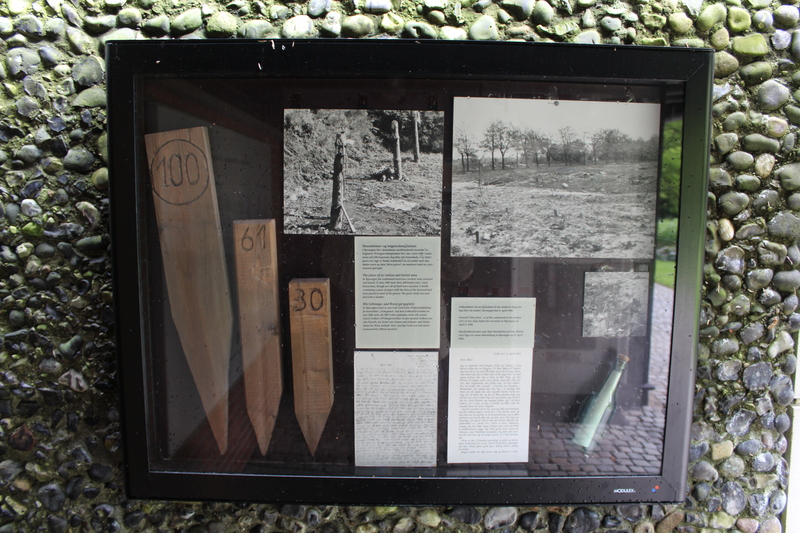 In 1944-45 the underground illegal military danish army supported by the british “Special Executive Groups (SOE)” and USA “Office of Strategic Services” had a number of 20.000 danish man and woman with hand weapons and on liberation day in may 1945 the army were enlarged to 50.000 men and woman. Under the Nazi-German occupation of Denmark from 1940-45 about 10.000 danish citizens involved in the military and political danish resistance movement fled to Sweden and joined the Danish Liberation Army in Sweden: Den Danske Brigade. Den Danske Brigade (Danforce) in Sweden was recruited by initiative and under supervision of british SOE (Special Operations Executive) and U.S. Office of Strategic Services during 1943-45 under command of danish military officers. In may 1945 Den Danske Brigade (Danforce) was an army of 5000 men well equipped with automatic hand weapons. In the evening 4. may 1945 at 8.40 p.m. the BBC in London announced to the danish listeners the all German troops in northern GERMANY, DENMARK and NORWAY from 5. may 1945 at 8 a.m. had surrounded to the british and american military forces. 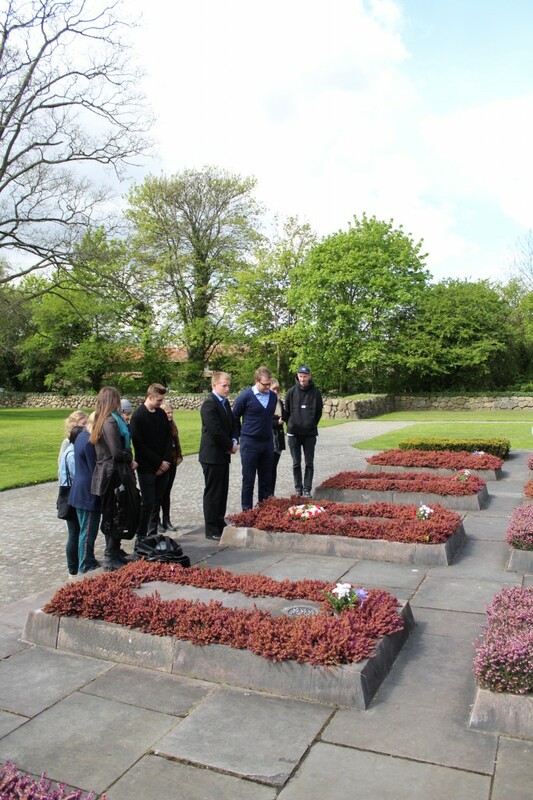 Early morning the 5. may 1945 The Danish Brigade arrived from Sweden to Elsinore, Denmark and together with the danish military and political resistance movement there took by force all buildings and institutions occupied by the surrended german forces. 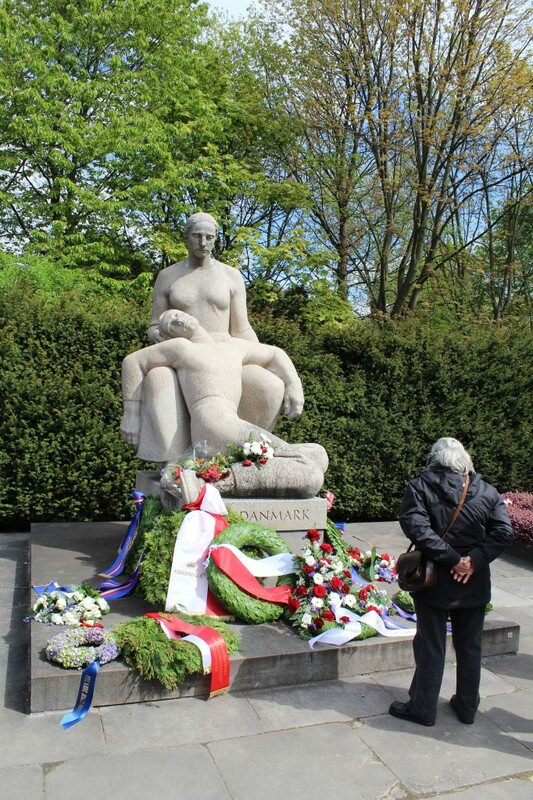 Den Danske Brigade (Danforce) and the underground Danish Resistance Army disarmed the German Army, arrested thousands of danish collaboraters and took responsibility of law and order until the danish police were in duty again 13. may 1945. 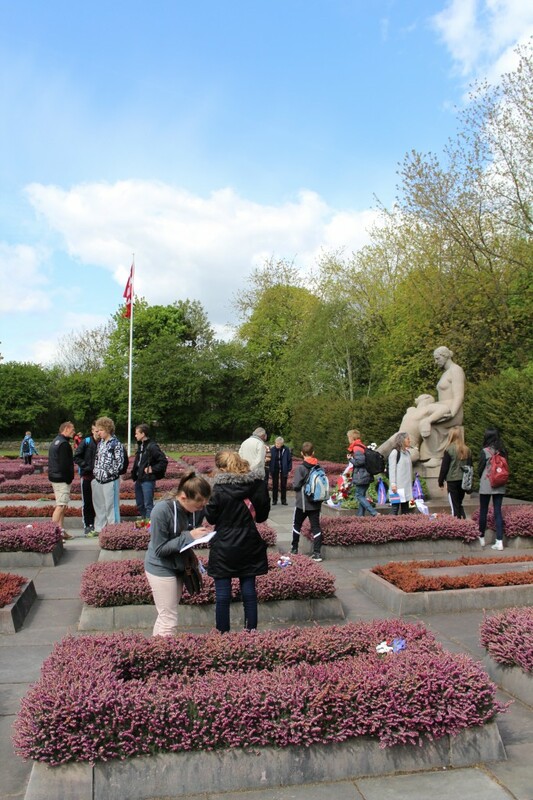 In the first days after the Liberation on 5. may 1945 there were severe fightings between the Danish Resistance Army and danish collaboraters (HIPO men/woman) in several cities in Denmark. 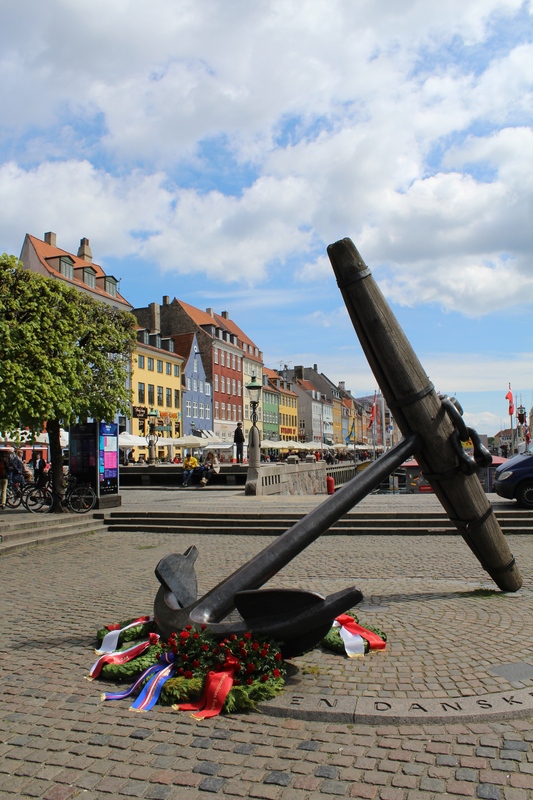 In Odense 14 danish resistance fighters were killed, in Aarhus more than 10 danish civil persons killed and in Copenhagen 54 danish civil persons killed and 255 danes injured. Denmark was liberated by a huge offer of Britain and American military and civilian forces and their populations and by the danish underground illegal resistant military and political movement in Denmark and Sweden. At the end of the war about 18.000 Danes and 45.000 Norwegians fled from nazi german occupation of Denmark and Norway to Sweden. There lived mainly in Stockholm and if they did not have money and accommodation they were financial supported by the Swedish Government. 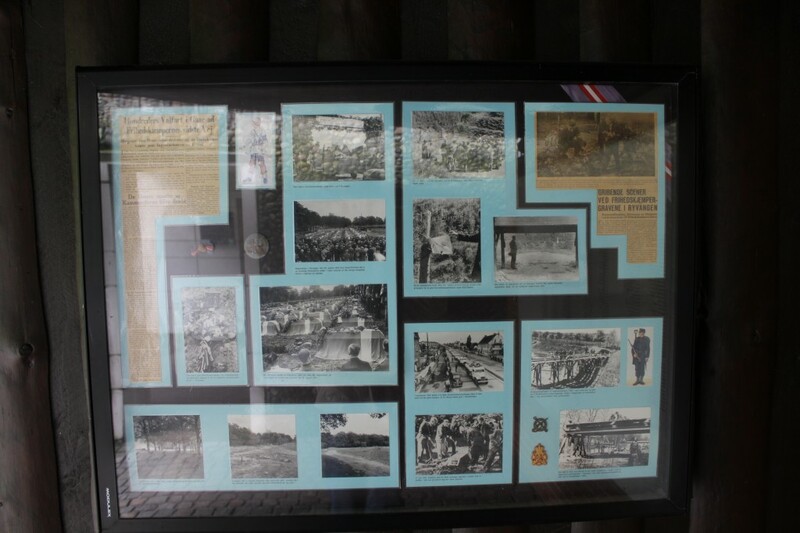 This article is written to honor and in memory of all soldiers and civilians all over the world, who fought against the totalitarien regimes in Nazi-Germany, Fascist Italy and Fascist Japan from 1937-45. Original photos from Danish Resistance Movement 1940-45. In attendance by King Christian 10 (King of Denmark 1912-47) and Queen Alexandrine. Memorial Monument “Denmark/Mother with her killed son”. In norwegian granite by sculpture Axel Poulsen and drawed Kaj Gottlob. 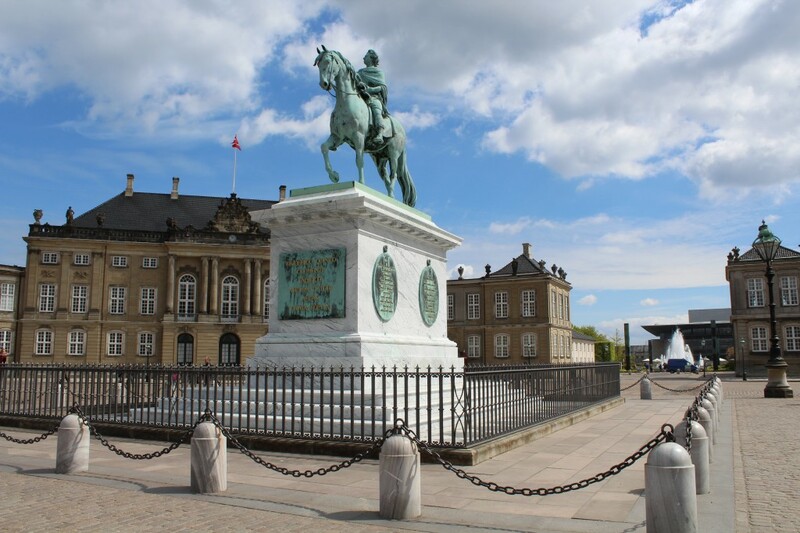 The danish King Christian 10 (1870-1947) became from 10. april 1940 and during the 5 years of German occupation of Denmark the non-violent symbol of Danish national sovereignty. 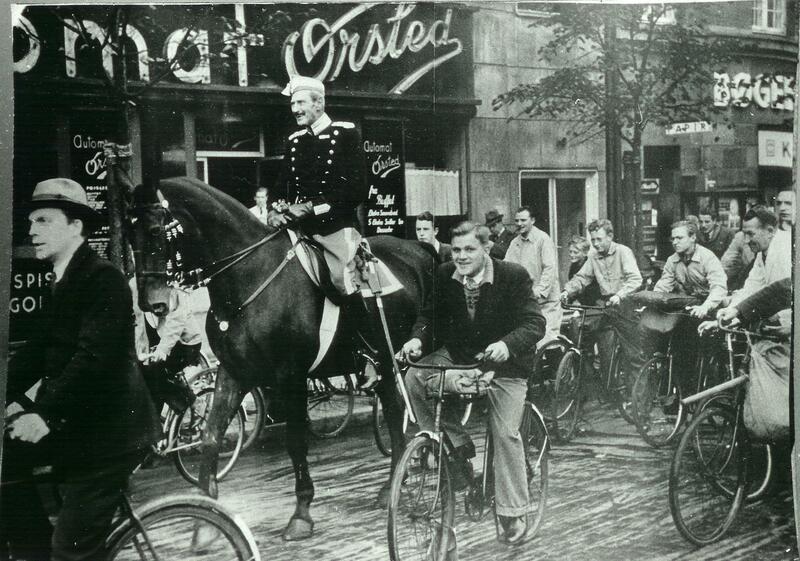 The King Christian 10 (King of Denmark 1912-47) did his daily ride in the streets of Copenhagen without any protection from the Royal Guard (Livgarden) or danish police but surrounded and protected on his ride by danish patriot citizens on walk or bikes. King Christian 10 on his horse. Gyldenløvesgade in Copenhagen 1940. Source: National Museum of Denmark. Copyright expired after 70 years in accordance to Danish Law. Photographer unknown. Thanks for using this photo in my article. 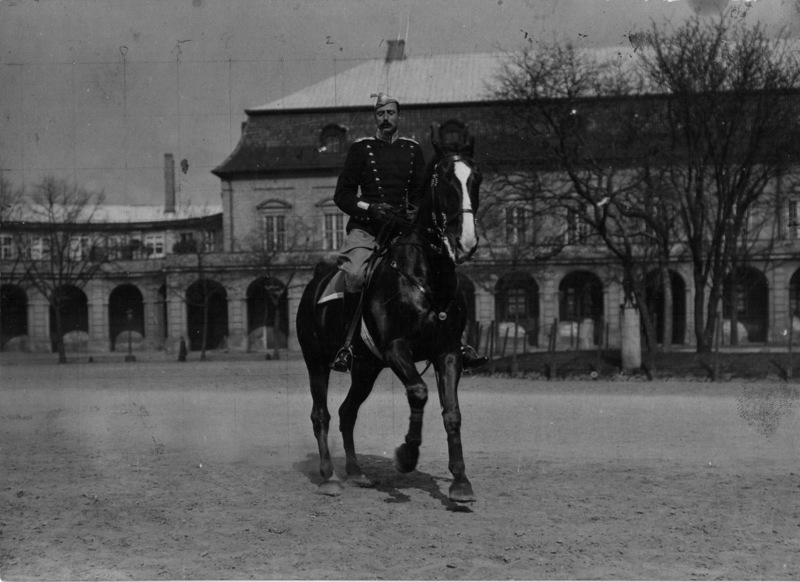 Christian Christian 10 on riding ground on Christianborg Castle 1919. Photo by danish artist Laurits Tuxen (1853-1927) – a photographic source to L.Tuxen oil painting:: “Christian den 10 til hest på Christiansborg Ridebane”, 1919, 283 cm x 198, Museet på Sønderborg Slot. Scannet from original photo af L. Tuxen. Sign. L.Tuxen on back of the photo. Just to thank you for this article…I have been researching war memories of my Uncle, Sven Teisen, whom, I know, was involved in helping Jews escape to Sweden. He was a superb swimmer (swam from Denmark to Sweden) and sailor and had a boat of his own. Both he and his wife Budda drowned in a storm during one such rescue effort or, possibly, in testing out the boat after Winter storage. Since all living memory of this period will soon disappear, I would be very interested if you have recorded any, more personal accounts? I remember, for example another Aunt, Inge Teisen, telling me how, when the Germans came to search their apartment, she hid their radio under her knitting in her lap. She would laugh telling me this. Kind regards, kaerlig hilsen, Merete. Thank you for your mail and kind remarks. I am sorry to hear how your uncle and his wife lost their lives helping jews and resistance fighters of the danish resistance movement under german occupation of Denmark under 2. World War. I don’t have any personal accounts, but I have told my families personal history 1940-45 in Aarhus during the war, where my Father worked as a doctor. You can find my article “Aarhus i sne-dragt lillejuleaftensdag 2009 – Besøg i min barndomsby 23. december 2009” on my second home page: Erik K Abrahamsen Blog. ( Search under Archiv: december 2009) . 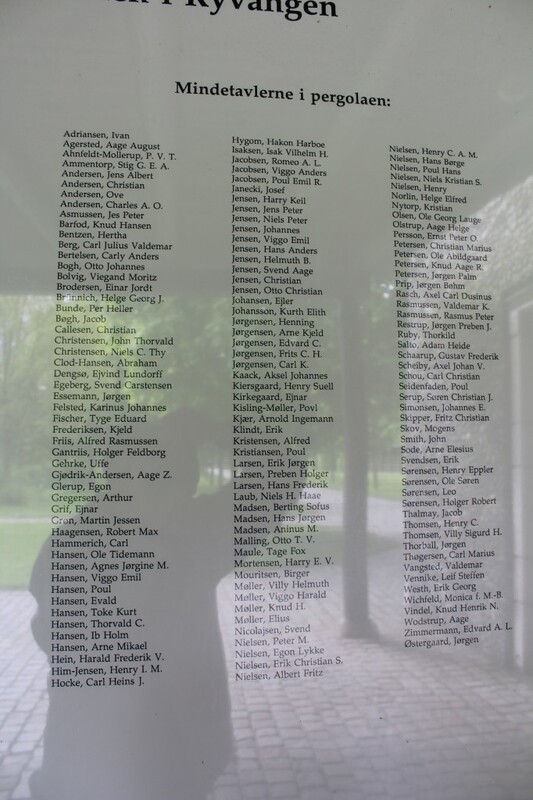 Is there a definitive list of the Danish resistance fighters executed during 1943. I am trying to find out what happened to a RAAF crewman on the night of 5th September 1943. He is believed to have been executed along with the Danes who were helping him find a boat to Sweden. My mother was in the resistance and her fiancé who was a doctor in volved in the smuggling of Jews to Sweden. I know his name was Henrik and he was taken by the gestapo in 1943. My mother never found out what happened to him and she has since died. Any help would be good. Sadly I have no other details other than a photograph. I have a question for you. I am writing the story of my great uncle; the Dutch SOE-N agent Han Jordaan. After the ending of a very successful and infamous German counter espionage game; the Englandgame (also called by the Germans ‘das Englandspiel’ or ‘Nordpol’), as a prisoner in KZ Sachsenhausen, between January and 19 February 1945; my great uncle Han Jordaan; who was a captured SOE-Netherlands agent who had been dropped in The Netherlands on 28/03/1942 and was captured after five weeks operating in liberty, met a Danish prisoner of about his own age (27 years) in a so-called ‘Schonungsblock’ (Quarantaine block) at KZ Sachsenhausen Oranienburg. His name was Hans Erik Kastoft from Copenhagen, member of the DKP and who had been arrested by the German occupier for espionage and the spreading of illegal pamplets. This Kastoft, who at the very last moment before the end of the camp was evacuated by the Swedisch Red Cross in their famous white busses to KZ Neuengamme and therefore survived the war. Mr. Kastoft was a student of political science and a member of the Danish Communist party. The material I have states that his illegal work consisted in clandestine press and espionage, but it gives no details – only on his itinerary through different German camps and prisons, especially Dreibergen prison in the town of Bützow (questionnaire). I would like to get to know more about this Kastoff. 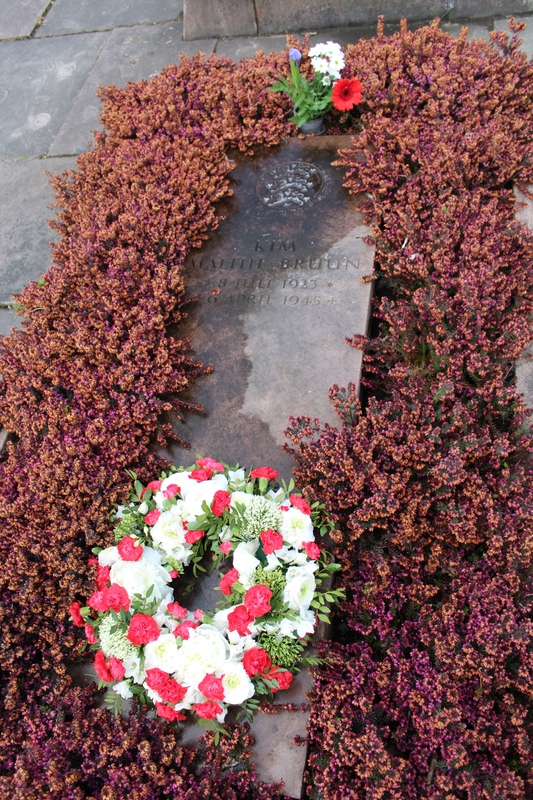 When Han Jordaan was sent to Mauthausen (unfortunately his final destination, since he died there on 21/04/1945), Kastoft, who was supposed to go with him on transport, at the very last moment was kept at Sachsenhausen, since the Swedes were negociating with Himmler about the release of the Danes and the Norwegians in the German camps, and he gave Han Jordaan one of his own food packages of 5 kilo for his pending journey to Mauthausen, freezing with many other ‚Häftlinge‘, in cattle wagons. Kastoft was supposedly a young communist and had wealthy parents. At least that’s what the story tells. I do know for sure that Hans Erik ( „Erik“) Kastoft was a ‘normal’ communist resistance fighter’.